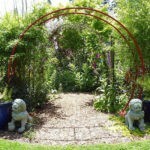 We previously asked you to save the date, now it’s time to share a preview of five of seven the gardens that make up this year’s HPSO/Garden Conservancy Open Gardens Day on July 14th. To recap: this year’s event includes seven private gardens in North/Northeast Portland as well as free “Digging Deeper” programs at Garden Fever and Thicket Nursery. Timber Press authors will be signing books, and there will be pollinator classes from bee experts and water conservation information from the regional water consortium. PLUS there’s a wrap-up reception at Portland Nursery. The Eastman/Griffin Garden — in the heart of the Mississippi Historic District — is 30-years in the making and surrounds a 1920s bungalow. The garden space flows into an adjacent lot the owners were able to purchase in the early ’90s. Fountains, rose-covered arbors, large Emerald Green hedges, and mature bamboo groves give the garden a peaceful, mature feel. The Ediger Garden is six years old and located on a sunny corner. Nine-foot wide hellstrips are planted with an assortment of drought-resistant plants, natives, and grasses integrated with vegetables. Of particular note is the gardener’s collection of peonies, daylilies, penstemons, geums, coreopsis, and agastache. A large corner lot provides the Ferrante Garden with two long planted-up gravel hellstrips. Within the garden proper are quiet spaces to unwind in the shade, as well as plenty of sunny spots. A large deck puts you right in the middle of all the lush plantings and fabulous foliage. The Goldman Garden — widely known as Nancyland — was featured in the July 2016 issue of the English magazine, Gardens Illustrated. 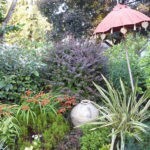 Nancy calls the front garden a bit staid (something only she would say), while the shady back garden is filled with whimsical garden art, treasures, and a plethora of containers. Just down the street from the Goldman Garden, the Meyers Garden is exuberant with clematis, tiger lilies, potted begonias, arisaemas, voluptuous hydrangeas, large stands of monarda, an impressive Acer ‘Esk Sunset’, as well as a stunning grove of timber bamboo. Perfectly placed containers, benches, and artistic accents highlight moments of the garden as you explore the extra-deep property along the winding brick, stone, and grass paths. Interested in seeing more? We hope you’ll plan join us for a fun-filled day of garden touring and other activities. 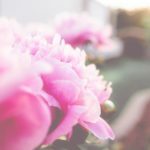 For up-to-date information be sure to keep an eye on the Garden Conservancy and HPSO Garden Tour page here, and remember you can purchase tickets at Garden Fever!, thicket nursery or Portland Nursery, or at any of the Open Gardens on the day.